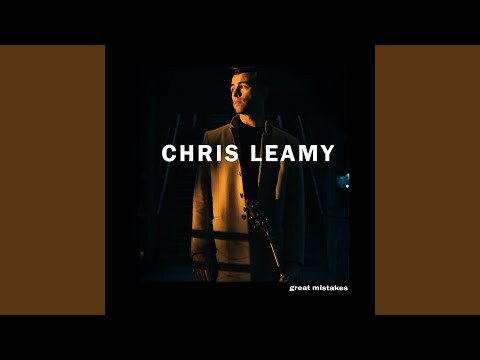 Three years ago, Chris Leamy was working a full time finance job and hitting the studio any chance he got. Living the dual, fast paced life of both Wall Street and Manhattan’s music scene Chris was always burning the candle at both ends. But his world came to an abrupt halt when a doctor misdiagnosed him with a terminal disease. When the doctor later assured Chris he was indeed healthy, Chris was convinced otherwise. A fair assumption considering he’d basically stopped sleeping all together after the diagnosis. As a result, Chris developed a debilitating case of OCD and began to struggle through even the most basic daily routines. It was during this time that Chris found a saving grace in a surprising group of people – the homeless community. After a chance encounter, Chris started playing his music alongside homeless individuals in Union Square Park. He started busking weekly, donating any money he earned to his new friends and began to share their stories on social media. Inspired by the human spirit of resilience, Chris experienced a change in perspective that would go on to change his life and his music dramatically.